There’s a very distinct possibility that Christopher Nolan’s Dark Knight Trilogy will be the best on-screen treatment of Batman that we ever see. Warner Bros. will keep making more of them, as the franchise is simply too valuable to shut down completely, but each one of them will be immediately compared to Nolan’s work and will likely be dismissed because of it. 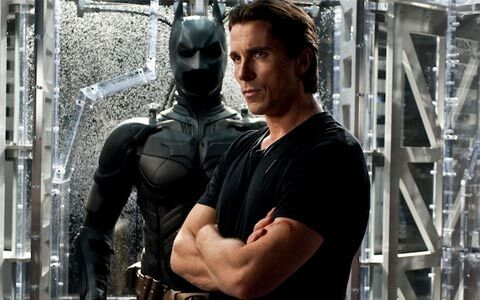 In fact, studio head Jeff Robinov has even confirmed plans to reboot again once The Dark Knight Rises has been released and just yesterday Nolan said that he is now done with the superhero completely and won’t serve as producer or director on any future films featuring the character. These developments have only made us more eager to know what will happen in the conclusion of The Dark Knight Rises. The presence of Bane, who famously broke Batman's back in the comics, has fans speculating that the movie could go as far as to kill Bruce Wayne or make it so that he can never put on the cape and cowl ever again. But does Nolan’s Wayne have to die in order for the franchise to live on? While it’s not the only option, it could be the best one. From the beginning, Nolan has established that as Batman, Wayne isn’t trying to make himself a hero or a martyr, but rather a symbol to the people of Gotham that they can stand up against the crime and corruption that has taken over their city. In Batman Begins, Ra’s al Ghul, in the guise of Henry Ducard, is training Wayne to become a member of the League of Shadows, and tells him him, “If you make yourself more than just a man, if you devote yourself to an ideal, you become something else entirely.” If Wayne is actually killed in The Dark Knight Rises it would be the end of a man, but not a legend. And what better way to show that is there then by letting the role of Batman go to another Gothamite who is willing to take on the responsibility? In addition to folding into the themes of Nolan’s Batman universe, this would also be the best possible option for a studio that wants to see the superhero make many, many more movies. By killing Wayne the filmmaker would not only be putting an exclamation mark on the end of his trilogy but it would also define The Dark Knight Trilogy as the definitive on-screen story of Bruce Wayne. When Warners then reboots the franchise, the director they hire won’t be forced to retell the origin story for the umpteenth time a la The Amazing Spider-Man or the upcoming Man of Steel. Instead they could work to tell an original story set in the same universe with a completely new cast of characters (with perhaps a few crossovers for fun). It could be like what they are doing with the Bourne franchise with Bourne Legacy, only Batman will have the advantage of having closure on one side of the story. It would be tremendously simple for Warner Bros. to just hit the reboot button. They could show us Wayne’s parents getting killed again and we will probably all say, “It was better when Nolan did it.” But if The Dark Knight Rises does put Bruce Wayne out of commission there will be an incredible opportunity made available and with the proper talent it could be something phenomenal and unprecedented. It’s such an exciting prospect that part of me will walk into the theater to see Nolan’s final Batman movie and actually hope that the hero won’t walk away.